The new episodic Hitman game was released in early March, which provided players with the first episode in the series named ‘Showstopper’, now just under 2 months later fans have finally got their hands on the second episode ‘The World of Tomorrow’. The developers had a lot of criticism following the release of the first episode because of how quickly the level could be finished and explored. 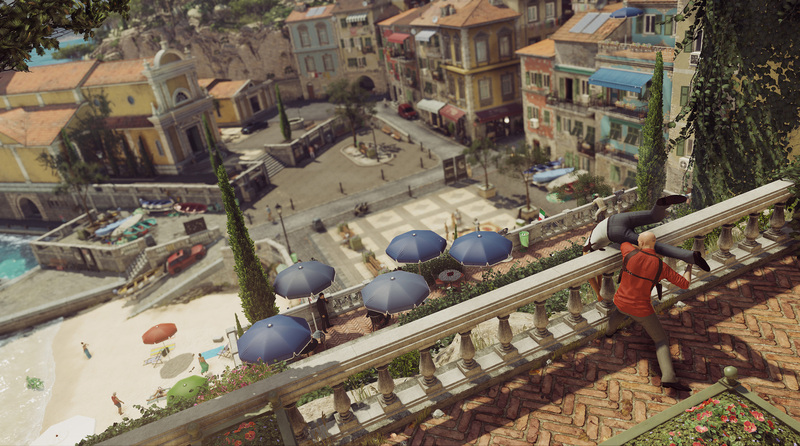 The second episode is based in a fictional Italian seaside town called ‘Sapienza’, and after spending a considerable amount of time exploring the level it’s doubtful that it will receive the same type of criticism. Not only does the location look amazing, but it feels like a living, breathing town as you walk around. It’s definitely the best looking location we’ve seen in the Hitman series, and it may well be the best overall level as well. The mission itself is great, really great, and the level is so dense that you have so many different options to complete your goal. You have three objectives, the first is to kill Silvio Caruso: a bioengineer working on the deadly virus, the second will to be to kill his lab head Francesca De Santis so she can’t carry on his work once he dies, and the third is to destroy the Ether Corporation’s deadly virus. Both targets reside in a beautiful mansion overlooking the town’s harbour, and some exploration of both the town and the mansion grounds will reveal a number of different opportunities to get the kills. The virus is located in an underground lab, which feels like you’re sneaking into a Bond villain’s lair. Getting into the mansion and sneaking around can genuinely be tricky at times, especially if you’re like me and try to avoid the guns blazing approach. It’s safe to say this episode takes a lot more thought than the first, and you will need to be patient if you want to pull off a perfect run through. Overall I loved ‘The World of Tomorrow’ and it’s definitely a good sign of things to come. The level looks amazing, the mission is not only engaging, but is actually challenging. The density of the location is what makes ‘Sapienza’ such a great setting, and every play through you’ll find something new, whether it’s a new route to sneak in or a new opportunity to get the perfect kill. Episodes 1&2 of Hitman are out now for Xbox One, Playstation 4 and PC.